Kinder Morgan's Trans Mountain marine terminal in Burnaby, B.C., on May 29, 2018. The Liberal government made a high-stakes, politically fraught decision to purchase the Trans Mountain pipeline based on a two-month analysis from industry insiders, including one consultant who had previously worked for pipeline owner Kinder Morgan Inc., documents obtained under Access to Information reveal. As political opposition to the proposed Trans Mountain pipeline expansion gained momentum last spring, Finance Minister Bill Morneau turned to the Canadian Development Investment Corp. (CDEV), to advise him on a rescue plan to keep the project on track. With just six employees and led by a part-time executive vice-president, CDEV scrambled on a tight deadline to build a team of consultants who became key advisers to the government on its eventual $4.5-billion acquisition, documents obtained by researcher Ken Rubin under Access to Information reveal. Internally, the effort was code-named Project Last Spike, a reference to the nation-building completion of the trans-continental railway. CDEV had its consultants assess Kinder Morgan’s environmental record, the value of the Trans Mountain expansion for Alberta’s oil producers and the risks that might drive up costs or prevent the project from being completed. Some final reports outlining the risks were delivered to Mr. Morneau on the day before Ottawa concluded the agreement with Kinder Morgan Inc. to purchase the pipeline, the documents show. Based on one report it commissioned, CDEV advised the government that expansion of the pipeline by nearly 600,000 barrels a day would open important new markets in Asia, and result in an additional $12-billion a year in revenues to Western Canadian oil producers. That figure was generated by Texas-based consultant Muse, Stancil & Co., which based its work on a previous report it had done in 2017 for Trans Mountain’s owner, Kinder Morgan, as it launched a public offering to sell shares of its Canadian operations on the Toronto Stock Exchange, according to one CDEV memo to its board. In the space of less than two months, the government moved from considering some sort of financial guarantees to the full purchase of the pipeline, which is deemed essential by Alberta’s government and oil industry but opposed by the British Columbia government and some key First Nations along the route. Now, the Liberal government is determining whether it should reapprove the Trans Mountain expansion project after the court ruling in August that quashed the previous permit, and some First Nations communities along the pipeline route are threatening to launch further court challenges if it moves forward. As a result of the acquisition, the federal government is in the awkward position of being both the project’s owner and its regulator. CDEV holds the government shares in Trans Mountain Corp., which is based in Calgary and has its own government-appointed board of directors chaired by former Bank of Montreal chief executive William Downe. Asked about the tight deadlines faced by consultants, Mr. Morneau said that he and his team were given frequent updates on the work and were aware of the main conclusions well before the final reports were filed. While CDEV provided key analysis, the minister also relied on a trio of high-level bureaucrats, all of whom had deep deal-making experience in the private sector before joining government. “The due diligence for buying Trans Mountain was very much along the lines of what you’d see for any major decision that an organization would take in a commercial fashion," the minister said in an interview Friday. 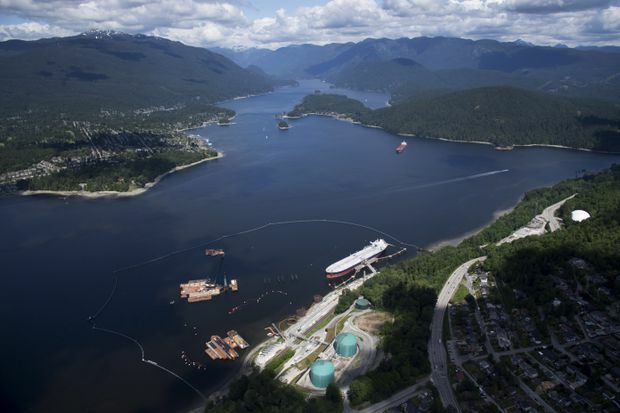 In an e-mail, CDEV’s corporate secretary Noreen Flaherty said Muse Stancil had also done analysis for the National Energy Board’s review of the Trans Mountain expansion project, and that it was “expert, independent and objective.” Critics such as B.C. economist Robyn Allan have challenged the consultant’s conclusions. Headquartered in Yorkville at the north end of Toronto’s Bay Street, the Canadian Development Investment Corp. has been in business since 1982, and has managed and sold the government’s stake in 15 companies for a total of $9-billion. It was the agency responsible for holding and eventually selling off the federal government’s shares in Chrysler and General Motors acquired as part of the federal response to the 2008 recession. CDEV formally learned of its assignment on Trans Mountain in a letter from Mr. Morneau in late March as Houston-based Kinder Morgan raised concerns that political and legal opposition could block the project. In the letter to CDEV chair Michael Mackasey, the minister said he wanted the corporation to secure financial, legal and commercial advice “with respect to options for the Government’s participation in the Trans Mountain project.” He promised that his office would not meddle in their work. The following week, CDEV’s senior vice-president Andrew Stafl informed the corporation’s board of directors about its new assignment. A problem had quickly emerged. Finding consultants with deep pipeline expertise who had not previously worked on the Kinder Morgan file was not easy. Since many of the large Canadian and U.S. investment banks participated in the sale of shares in Kinder Morgan Canada in 2017, "there were few advisers left non-conflicted,” Mr. Stafl wrote in a memo to the board. It eventually hired Texas-based Greenhill & Co., which worked closely with the government team right up to the signing of the May 29 deal. It hired as a lead adviser John Carruthers, a former Enbridge Inc. executive who oversaw that company’s ill-fated Northern Gateway pipeline proposal. Another U.S.-based contractor, engineering firm Leidos Inc., warned that Kinder Morgan’s estimate of a $7.4-billion price was bound to rise. In a report issued just four days before the Liberal government reached its deal with Kinder Morgan, Leidos provided a new cost estimate – a figure that is redacted from the documents provided under Access to Information. “The increase is due to the fact that many permits and contracts have yet to be executed, and a significant number of risks remain open,” a summary of the Leidos report said.